Gabriel had a successful marketing career for 10 years with luxury brands such as Louis Vuitton. In 2008 that part of his life came to an end when Gabriel chose to pursue his lifelong passion of garden design. some valuable experience working with landscape architect Louis Benech, Gabriel set up his design studio: Atelier Gabriel. His own vision of landscaped gardens, that he wanted to offer to the world. True to the spirit of John Burroughs, or of Jeffries or Thoreau, Gabriel is a creator of an innovative type of nature literature, that is manifested not in writing, but in creating tangible, three dimensional works of horticultural art, that live, breathe and transform in an ever-evolving feast of the senses. The gardens that Atelier Gabriel creates are reminiscent of his memories as a child where his passion for nature was first instilled, at the age of 7 he was lucky enough to see the tropics whilst living in New Caledonia. Since then, Gabriel has continued to travel the world, seeking out the flora of countries from Europe across to Japan. Although living in a small apartment in Paris, he always had a special bond with nature. Gabriel returned regularly to New Caledonia where he was enchanted by the unblemished flora of which 90% is endemic, this has been a major influence of Gabriel’s life, the wonder of which accompanies him to this day. Today Atelier Gabriel works incessantly to create gardens of all shapes and sizes for his diverse clientele, from private terraces to urban gardens as well as commercial and office areas. With an acute passion for botany and Mediterranean and Japanese flora, Gabriel has created sustainable gardens of exceptional beauty, predominantly in France. Gabriel also keeps two experimental gardens : one near Paris and one in Southern Brittany where new plants are introduced and propagated to enrich his selection of flora. Gabriel Rochard is a member of the Greek branch of the Mediterranean Garden Society, a permanent source of inspiration and experience for his projects. He participates actively in garden festivals and plant days in Murabilia (Tuscany) as a member of the jury along with journalists and botanists from all over the world. 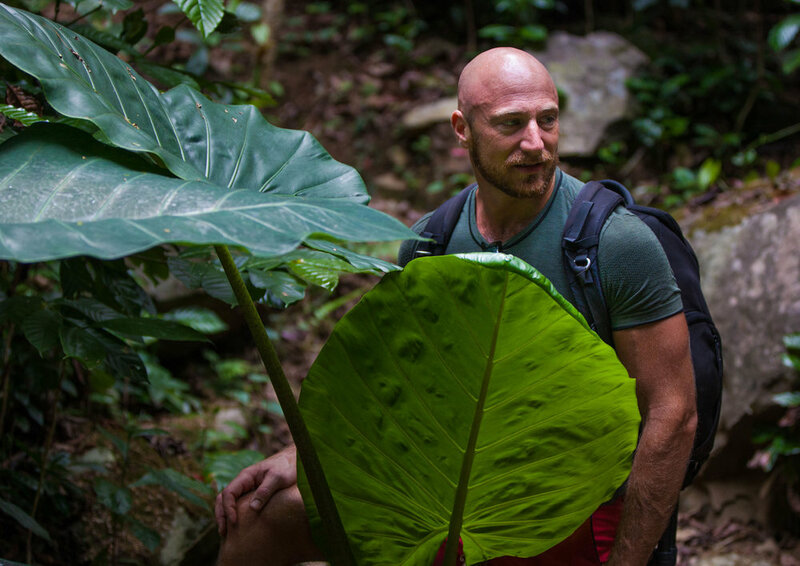 When time allows it, Gabriel Rochard continues to explores the world and its miraculous biodiversity, studying and collecting inspiration from the exciting plants of New Caledonia (2015, 2018), Japan (Japan Flower Show in 2015, Kyoto and Kyushu in 2016 and 2018) and the Amazon (Tropical Peru exploration in 2017). Every space, however small or large, has its own character and potential, the possibilities can be virtually endless. Gardens, yards, terraces, grounds, any patch of land or area, can be transformed into a beautiful space, be it residential, recreational, industrial, private or public spaces. There are so many genres and styles: formal gardens, flower gardens, water gardens, secret gardens, whimsical gardens, gardens inspired by the Mediterranean, Japan or the Tropics. Our team will design a tailor-made project that reflects exactly what is needed to transform your space into a sensational retreat that thrives from season to season. Every space, however small or large, has its own character and potential, the possibilities can be virtually endless. Gardens, yards, terraces, grounds, any patch of land or area, can transform into a beautiful space, be it residential, recreational, industrial, private or public spaces. Atelier Gabriel has a 360° approach to landscaping, and will first study the natural-light, microclimate, soil, biotopes, natural vegetation, and topography of the site, along with the aspirations of the client. A multi-cultural and multi-disciplinary team will then create and develop a garden that is a living organism, harmoniously blending in with its surroundings. When design represents the natural environment successfully, the garden becomes alive with birds, bees and other wildlife. we respect both the biotope and the human, answering the client’s needs. Capturing both the spirit of the Client and the essence of a stunning Art Deco building in Quai d’Orsay, the green spaces are designed centrally, like inner patios. This elegant landscaping choice makes employees and visitors feel like they are in the middle of a garden that provides colour all year round, rather than the ambience of a strict workspace. In this enchanting Parisian Hôtel Particulier, trees, shrubs, evergreens, ferns and flowers create a serene environment that tempts you to stay outside. Rather than following a linear, formal geometry the design plays with perspective and incorporates curved pathways on different levels to resemble the architecture of the house. The garden is more like an outdoor living room, integrated with the environment and so full of life, that gives the impression it has been there forever. Some projects are particularly bold and extrovert, making the best of their location; like this rooftop in Montparnasse that overlooks the Eiffel Tower and the Montparnasse Tower. All the plants and elements here are meant to be seen, in a non-linear geometry, adorned with unique, custom-made pieces. A garden transcends mere decoration. It is a place to go and soothe oneself, relax and reflect. A place to be joyous and creative and become one with the environment. hand-made to suit the notions of beauty, aesthetics and purpose of the site and of the owner. Gabriel Rochard travels all around the world discovering and researching flowers and plants in a dedicated section of Atelier Gabriel studio. Every seed, every plant, every country tells a story.